When properly sharpened and set up, a hand plane can produce a finish that is much finer and smoother than sand paper could ever achieve. Using a hand plane to shave off paper thin shavings makes the wood grain glow, bringing out the inherent beauty of the timbers. In Japan, it is very common to hand plane and not apply any finish, allowing the wood to develop a natural patina over time. 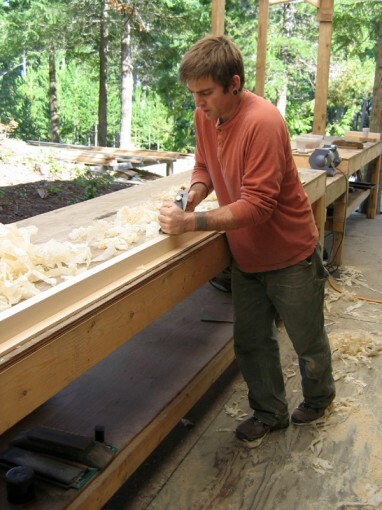 Tim is using a Western hand plane, which is pushed forward along the wood. A Japanese hand plane is drawn towards the carpenter.